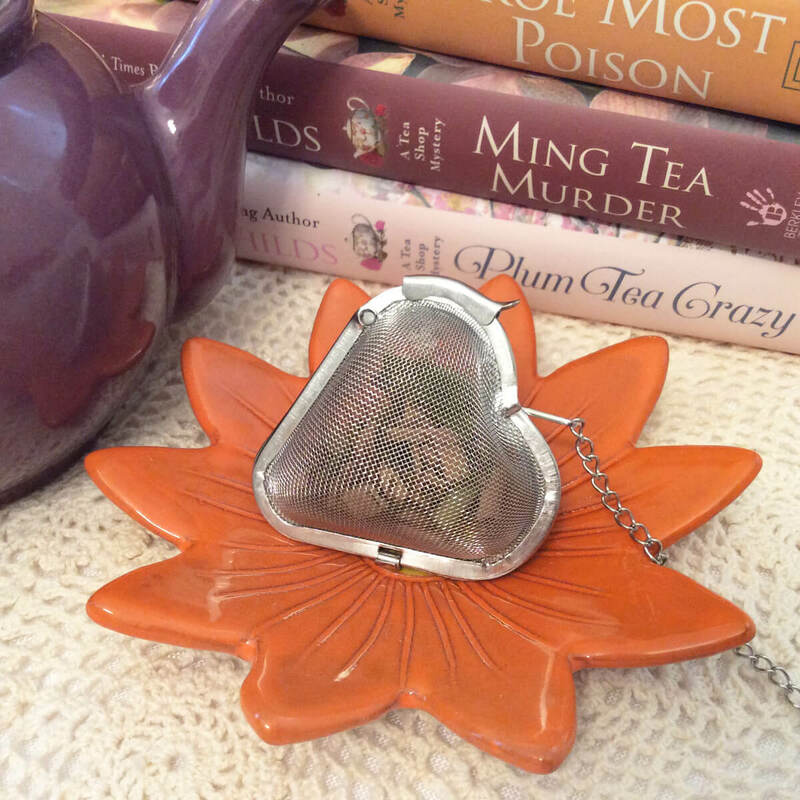 Looking for a delightful tea rest or tea caddy that will make you smile every time you lay down that tea spoon, tea bag, or wet loose leaf tea infuser? 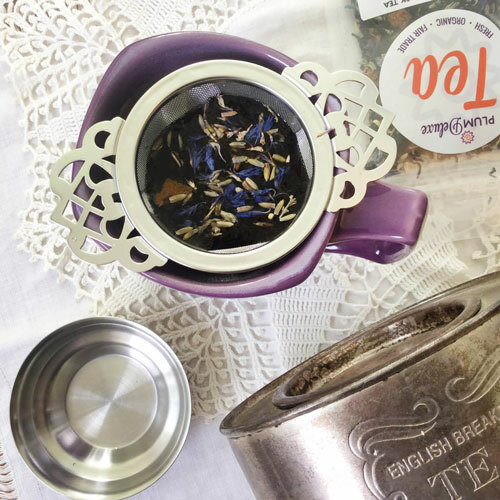 Look no further than our cheerful handmade ceramic tea rests, available in a thoughtful variety of styles and colors: purple heart, orange flower with purple center, or a purple flower with an orange center. We’ve partnered with a fellow artisan to make these designs exclusively for Plum Deluxe. While yes, they work perfectly well for tea infusers and spoons, they are so pretty you might want an extra for a ring holder, trinket dish, or even or food display dishes with flair! Beautiful and functional tea rest! It is even more beautiful in person, which is hard to believe! The color is gorgeous and it cradles my mesh steeping ball perfectly! I'd highly recommend it if you're looking for something to rest your tea steeping apparatus on after and between uses. 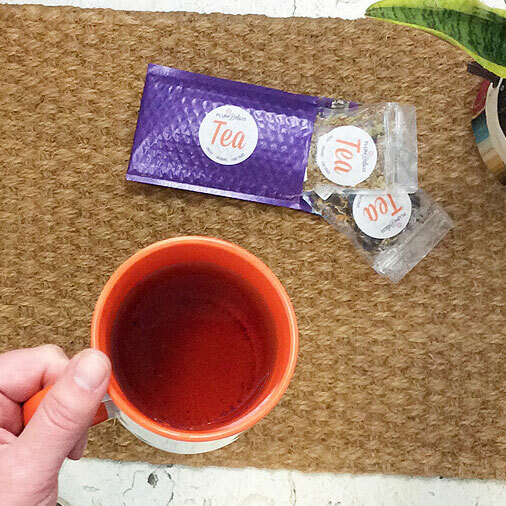 All tea rests are food safe and dishwasher safe. Dishes are approx 4.5" x 4.5". Ordering Information: Once you complete your purchase, your tea will be hand-blended then packed into 1 oz re-sealable poly bags. 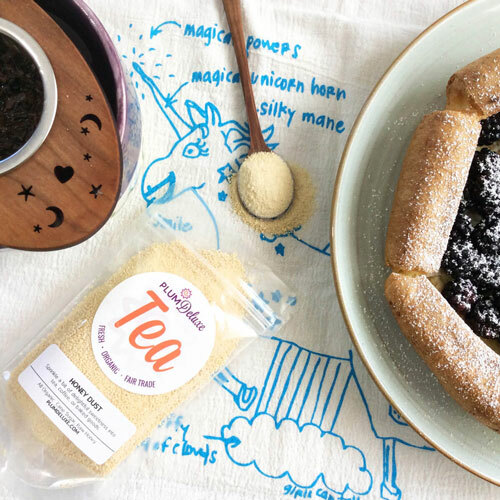 We will carefully package it into our signature purple envelopes, and then your tea will relax and read a magazine while traveling to you via USPS First Class Mail from Portland, Oregon. 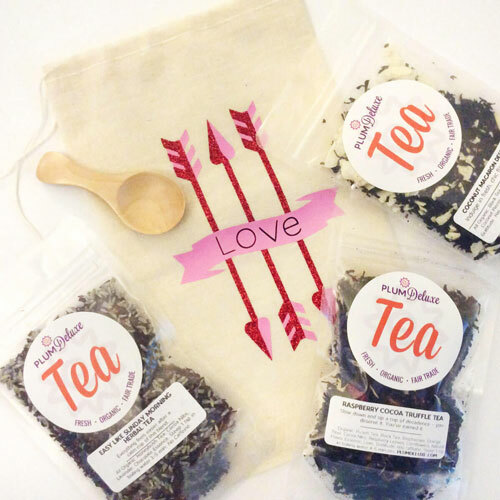 Teas generally leave our studio within 2-4 business days of ordering - we will contact you if we expect any delays. Due to the exacting and very personal nature of our specialty blends, we cannot offer refunds or exchanges on the tea that we sell. If you find that you get a shipment that is not, well, your cup of tea, we ask that you pass it along to a friend who will enjoy it. Then share your feedback with us so we can continue to improve our product. Allergy Information: Plum Deluxe teas are hand-blended in a single facility that also processes tree nuts. Our Policy on Organic Sourcing: Almost all of the ingredients purchased by Plum Deluxe for our teas are backed by USDA-compliant organic certifications. In cases where we work with a non-certified vendor, we are purchasing ingredients that are carefully wildcrafted, ingredients that are from a region of the world that does not have an organic certification program (such as parts of Japan or Taiwan), or from small family farms that cannot yet afford their certification or have not yet completed their certification. In all cases, we very carefully vet our products to ensure their are full of flavor, without any unwanted chemicals, artificial flavors, or genetically modified organisms. Thank you for trusting us to find the freshest, most delicious ingredients that are grown on sustainable, fair trade farms by companies we know, like, and trust.